You wouldn't know it from this month, but heavy snow in November is pretty rare here. 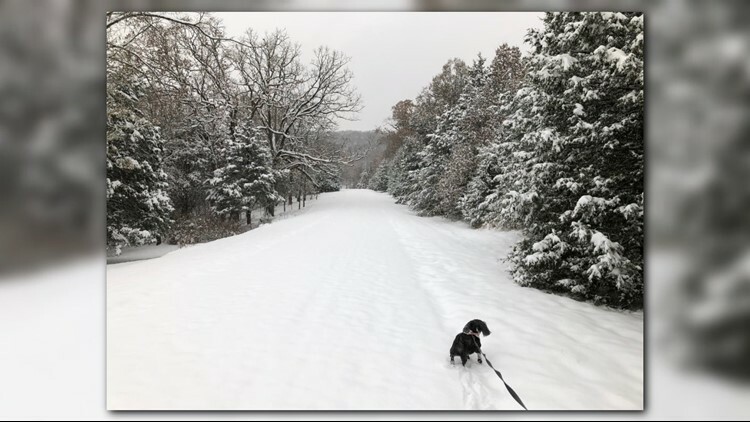 ST. LOUIS — It’s only halfway through November and we’re already dealing with our fourth snowfall in the St. Louis area. You wouldn’t know it from this month, but heavy snow in November is pretty rare here. 5 On Your Side dug into the archives to get some perspective on just how often this happens. One inch of snow or more has been recorded only eight times in St. Louis before November 15. Nov. 26, 1975: On the day before Thanksgiving, nearly 8 inches of snow fell in the area. It was so disruptive, the annual Turkey Day Game between Kirkwood and Webster Groves had to be postponed. Watch 5 On Your Side archive video of sledders on Art Hill during this snow storm. Nov. 6-7, 1991: Only 3.9 inches fell in the area, but that was followed by three nights of record cold temperatures in the single digits and low teens. Watch 5 On Your Side archive video from this storm. The Nov. 15 snowfall we're experiencing this year is looking to be fairly high on the list of November snowfalls. About 4.5 inches have been recorded Downtown as of 6 a.m. Snow in November is a big concern for the St. Louis area because many trees still have leaves. The heavy snow sticks to the leaves and weighs down branches, which can snap and bring down power lines.